West Indies 9-211 (Darren Sammy 60*, Darren Bravo 34, Mahmudullah 3-46) beat Bangladesh 136 (Mahmudullah 56*, Mushfiqur Rahim 27, Darren Sammy 3-28) by 75 runs. West Indies scored 211 runs for the loss of 9 wickets in the measured 50 overs and Bangladesh was bowled out for 136 mere runs with 15.5 overs to spare. Darren Sammy (West Indies) was declared ‘Player of the match’ for his superb unbeaten innings of 60 followed by three wickets while bowling. The fourth One Day International of the five match series was played on Friday, December 7, 2012, at Shere Bangla National Stadium, Mirpur. Earlier, Mushfiqur Rahim, the captain of Bangladesh, won the toss and invited West Indies to bat. Chris Gayle and Kieran Powell opened the innings as the latter hit two fours in the second over and the first started off with a single on the 10th ball he faced. Gayle got 12 runs on the first five balls of the sixth over but lost his wicket on the last delivery for 16. Marlon Samuels got in next, he was dropped by Naeem Islam in the slips off Mashrafe Mortaza at four runs as the first 10 overs produced 39 runs. 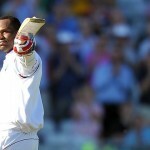 Samuels got a life again when Elias Sunny dropped him at his own bowling on the fifth ball of the 16th over for 15 runs. The batsman hit a couple of fours but was finally caught at long-off by Anamul Haque off Elias Sunny for 27 runs. The second wicket fell at 71 in 17.1 overs as the home bowlers came back in the game by clinching few quick wickets. Kieran Powell was declared leg before wicket off Elias Sunny for 26, Dwayne Smith was unable to open his account and Kieron Pollard lost his wicket for just two runs. The Caribbeans were reeling at 5-79 after 23.3 overs as Darren Bravo and Devon Thomas got together in the park. The pair found it hard to score runs and crept to 100 on the first ball of the 32nd over as Thomas was clean bowled by Mahmudullah three balls later for 10. The skipper of West Indies, Darren Sammy joined in next with Bravo who was dropped by Mushfiqur Rahim off Elias Sunny on the first delivery of the next over at 10. The duo added 43 runs for the seventh wicket in 67 deliveries when Darren Bravo was caught and bowled by Sohag Gazi for 34. Sammy took over as the wickets kept on crumbling from the other side and he hit the first six of his innings in the 44th over. He continued his attacking knock by dispatching 13 runs in the 49th over with 1 six and 1 four. Darren Sammy smashed his fourth ODI fifty in the final over with a four and remained unbeaten for 60 off 62 balls with 2 big sixes and 5 fours as West Indies reached 9-211 after 50 overs. Mahmudullah was the highest wicket taker with three, Elias Sunny and Abdur Razzak shared two each whereas Sohag Gazi and Mashrafe Mortaza claimed one wicket each. Bangladesh had a horrible beginning of their innings when Darren Sammy removed Anamul Haq and Naeem Islam in the second over. The problems were multiplied when Kemar Roach got rid of Tamim Iqbal and Nasir Hossain in the next over. Bangladesh was in deep trouble by losing their top four batsmen at just seven runs in 2.5 overs. The home side lost Mominul Haque on the third ball of the sixth over as Mushfiqur Rahim and Mahmudullah joined together at the crease. Mahmudullah hit two fours in the eighth over and tried to consolidate the innings with Mushfiqur Rahim. The first fifty of the innings was attained in the 15th over and the score was enhanced to 87 after 21 overs. Mushfiqur Rahim was stumped smartly by Devon Thomas off Sunil Narine for 27 on the second ball of the next over. Sohag Gazi associated with Mahmudullah and the first hundred of the innings was posted on the board in the 25th over. Veerasammy Permaul struck twice in the 28th over and the home side was struggling at 8-113 after 28 overs. Mahmudullah reached his 8th ODI fifty in the 30th over and secured his end for 56 off 78 deliveries with 7 fours as the innings of Bangladesh was folded back at 136 in 34.1 overs. Darren Sammy was the star performer with three wickets, Kemar Roach, Veerasammy Paermaul and Dwayne Smith held two wickets each whereas Sunil Narine chipped in with one wicket. 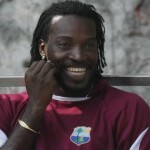 West Indies clinched the match in a majestic manner by 75 runs and the five match series was levelled at 2-2. The fifth and deciding ODI will be played on December 10, 2012, at the same venue and both teams will fight hard to win it and secure the series.